Sometimes you can fight City Hall and win, but only if you do your homework. That scenario is especially true when it comes to receiving your property tax assessment, which tells you how much tax you’ll be owing the city in a given year. If you have reason to believe that the assessment is higher than you expected it to be, you may have grounds to appeal and if successful, save up to hundreds of dollars that would otherwise have left your pocket. Watching people buy some property and deciding to flip it to make a few extra thousand dollars seems to be pretty easy, when you’re watching it on TV. Some shows seem to give you the impression that all you need is a coat of paint on some walls, a shrub or two in front, and a few nails hammered into some rickety stairs are all you need to unload a home for profit right after you’ve bought it. But in reality, the truth about flipping a home isn’t all that easy. Many experts in property investment like to tell homeowners who want to make a profit out of their purchase to exercise caution before deciding to sell the investment. Whether looking to purchase an income property as another revenue stream or to add to an investment and retirement portfolio, people who’ve taken this route have enjoyed economic security and financial stability. But taking those first steps to acquire property assets can be scary, unless you do the math first, weigh the pros and cons of ownership and consider a wide range of factors. Once you think you’re in a financial position to purchase, consider the market. The price of a home is obviously going to be one of the first considerations, but don’t jump at the opportunity to find a place with the lowest property value. Chances are, it’s cheap for a reason, especially if it’s in such poor condition, you might not realize a return on investment if you sink a lot of money renovating the unit. A home that’s been on the market for a long time is a good sign that even the most frugal investor doesn’t want to buy it. 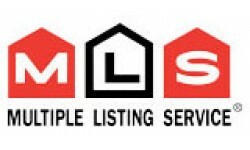 Is it possible to find a great deal on Calgary MLS® (multiple listing service) System? Yes, but it takes patience and the help of an experienced REALTOR®. Calgary real estate prices have been rising up until the end of 2014 and only few homes were available for sale, which made it harder to get a great deal from the MLS®. Our Investor Clients buy many properties to fix and flip and hold as rental properties and 90 percent of the purchases are from the MLS®. In 2014 we found 2% of the MLS® listings were priced 10%-15% below market. This year, the economic climate is expected to cool off the housing market, and it could create more opportunity for Real Estate Investors. Oil prices have tumbled in the past couple of months, and the reasons are due to supply and demand. Alberta’s crude oil reserve is the third largest in the world after Saudi Arabia and Venezuela. 8% of the jobs in Alberta are directly related to energy and the indirect benefits of oil sands extend beyond Alberta’s borders, stimulating Canada’s economy. From near $110 per barrel one year ago, the crude oil price has fallen to $54 per barrel. Alberta is producing oil like mad. Daily production in Alberta is about 2 million barrels, so over the next year, from September to September, producers in Alberta could lose $2.6 billion. INVESTOR ALERT!! INVESTOR ALERT!! INVESTOR ALERT!! There are many options for this outstanding 1350 sq ft bungalow. This property features 3 bdrms on the main floor with a double sided wood fireplace, large living room, and laminate floors. The good sized master has a 2 piece ensuite and double sliding doors that lead to the back deck/yard. There is a self contained access to the basement that could easily be converted into a suite. A great fixer upper with a little work this property will look great. Beauty may be in the eye of the beholder, but the same might not be said about the value of your home in the eyes of a civic assessor. When the City of Calgary assesses your property in order to determine the value of your home and in turn, your share of municipal tax, there’s always the possibility of a distortion in how much your home is really worth and how much the tax will affect your household bottom line. This Beautiful 1092 sq ft 3 bedroom bungalow is located at 827 Mckenzie DR SE. Main floor is completely renovated with new paint and flooring. Comfortable living and dining area is open to kithen and bay window. Spacious kitchen has white cabinets and granite counter tops. Large master bedroom, two additional good sized bedrooms and 4 piece bath are on the main floor. This home offers updated windows of good quality and newer high efficiency furnace. As the economy slowly crawls back to almost equaling the plateau it achieved five years ago, when the stock market crashed and the Eurozone kerfuffle plunged the financial world into chaos, one major issue ranking high on the scuttlebutt circuit surrounds what will happen to mortgage rates. It makes sense, since the housing and construction markets are primary indicators of the economy’s direction. Many homeowners have benefited from the reduction in the rates over the years, particularly five-year fixed closed rates, which were as high as six per cent 10 years ago and have since dropped to more than half by the end of 2012. An even longer-term picture shows that current rates are barely a third of what they were even 20 years ago. Regardless of the standard of living in Calgary, consumers have had to contend with two recently emerging factors that could jeopardize their chances of owning a home. For openers, rising housing prices have been a consideration for a few years, although the average price of a family home in Calgary at the beginning of 2013 was $496,579 – slightly lower than its Toronto equivalent at $558,345 and less than half the price of a detached bungalow in Vancouver.